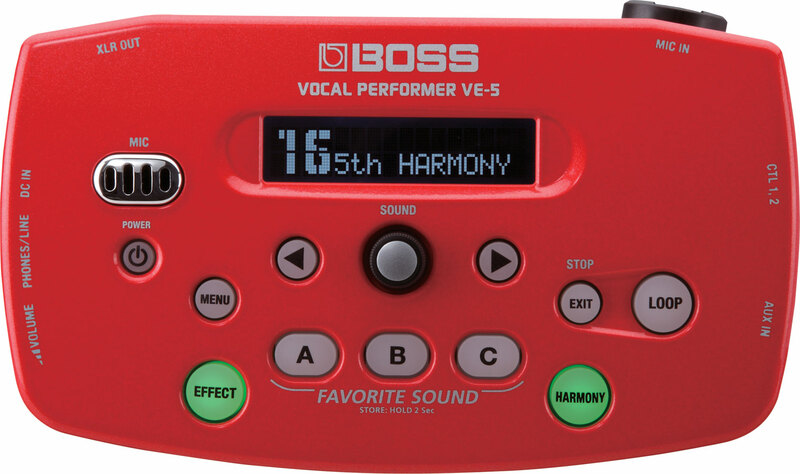 VE-5 Vocal Performer, Vocal Processor from Boss in the VE series.
" 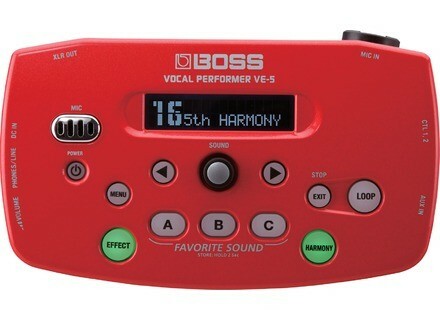 Very correct = Boss Roland never disappointed"
The VE-5 is a vocal effects processor that is made for the live musician. Using this pedal takes a little more effort than you standard live foot pedal because it has smaller buttons that will require your hands to do the activating so for a liver performance that is something to definitely consider. You can purchase this processor in either red, or white but both models are exactly the same with the same specs it is just a personal preference of which color you like. I think that it is priced decent at the 280 because it does have a lot effects and it allows you to dig a litter deeper instead of just using the basic effects of some of the lower end TC Helicon vocal effects pedals. Using this vocal processor is easy but it would help to read through the manual so you can learn how to use it properly. Since this is not a “foot pedal” style of a vocal processor you they made it so you can mount it to your microphone stand which really comes in handy and one of our vocalist uses this processor a lot. He mounts it right to his stand and has it all figured out and knows what to press without even looking at it! Sounds are great, some really good reverbs and other effects. It gives you the "live vocal" sound that you will need to have. But I do suggest messing around with it first before you use it live because you will need to know exactly which sound you want to use. Some of them sound very similar until you use them live! There is also a neat feature with the VE-5, you can save your favorite sounds to a button so you do not have to search for it. You can do this with up to 3 different sounds that you love. There are buttons right on the middle of the unit labeled A,B and C. You can just use those to save your favorite sound and then they will be available at just the press of a single button. This option is great for a live show so you do not even have to mess with the unit at all.